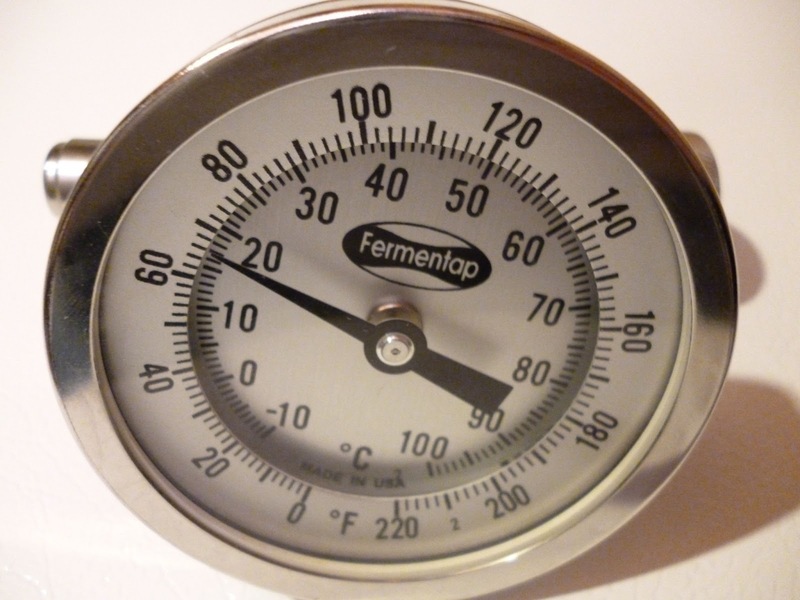 Here’s a look at MoreBeer’s inline thermometer setup. 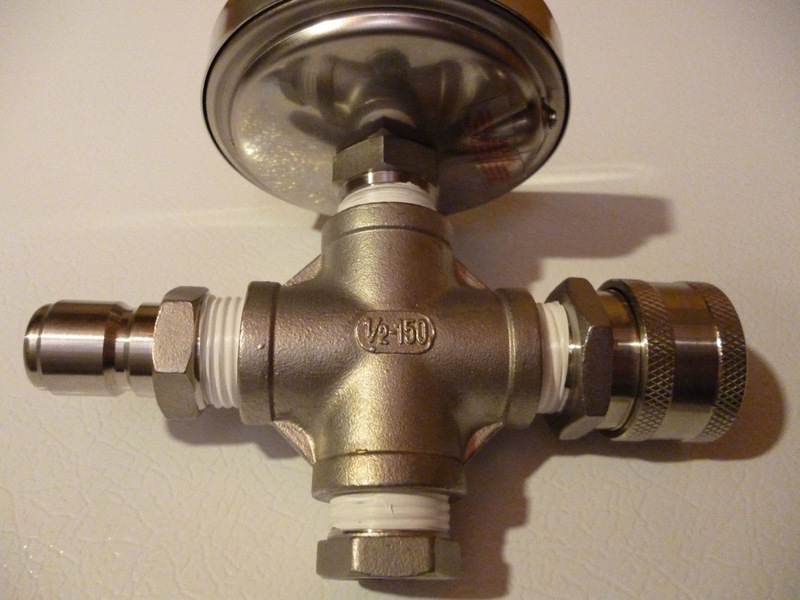 This is an all stainless setup, with stainless quick disconnects that allows you to place a thermometer inline at any point in your system. I found the inline thermometer to be well built. It also served it’s purpose well. 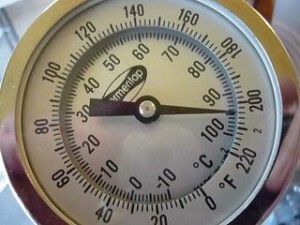 It allows you to check the temperature at a specific point in your process. I think because liquid is moving past this thermometer, you’re getting a great picture of what the temperature actually is at any given point. My apologies that this video is a bit shaky at points. You can watch it for 9 minutes and 12 seconds or just realize that it took 9 minutes and 12 seconds to get to pitching temp. My batch was about 5.25 Gallons. It took 9 minutes and 12 seconds to get to 68 degrees. Add a couple more seconds on from turning the hose on to starting the video. Ground water temp was 57.7 degrees. I’d say those are dandy results. Results will vary based on groundwater temp. In my initial trials, I was able to get 5.25 gallons of boiling water down to pitching temp in 5 minutes. Of course, water is easier to chill than wort. My setup is a 50′ copper immersion chiller (similar to this one) with a recirculation arm along with a this high flow March pump. 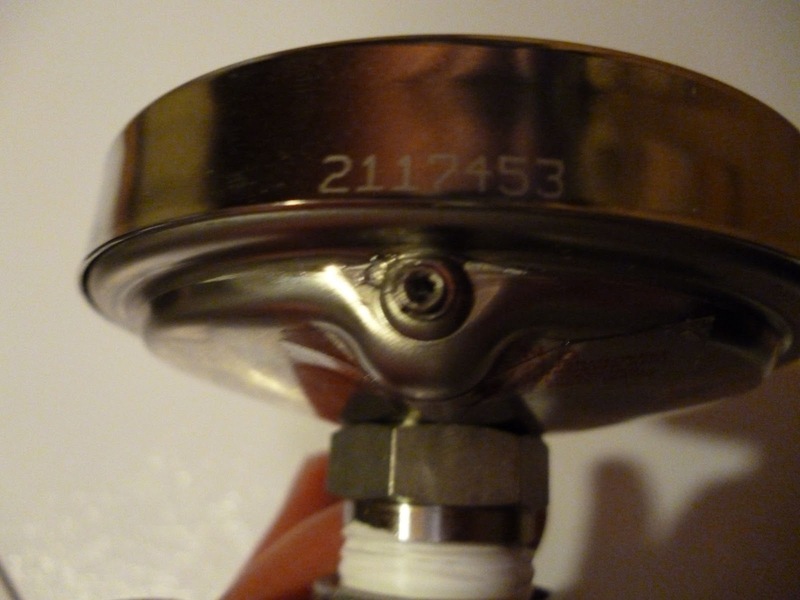 This entry was posted in Disconnects, Featured Reviews, More Beer, Pumps, Reviews, Reviews & Top Posts, Thermometers, Videos, Wort Chillers on January 11, 2013 by admin.